In a display of unparalleled compassion, the Death Penalty Research Project, National Law University has successfully raised the target amount of Rs. 7 lakhs in 7 days, to help in rehabilitation of Adam Suleiman Ajmeri, one of the acquitted persons in the 2002 Akshardham terror case. Access the group’s campaign on Milaap Website here. The Death Penalty Research Project first came in contact with Adam bhai in February 2014. Mr. Anup Surendranath, Director, Death Penalty Research Project. According to Mr. Surendranath’s account, Adam bhai contacted them a couple of months after his release, with the troubling news that he was finding it very difficult to make ends meet. Eleven years in prison and inhumane custodial torture had left him incapable of doing many things. He was then convicted by a Special Court in 2006, convicted and sentenced him to death. The death sentence was confirmed by the High Court in 2010. In May last year, the Supreme Court had all the six accused, after they had spent almost 11 years behind the bars. The six acquitted had also demanded compensation, rehabilitation and punishment to officials who falsely implicated them in the case. Addressing a Press Conference, they had reportedly demanded adequate compensation from the Gujarat Government and the then Chief Minister, Narendra Modi, for the long periods of confinement that they had to go through. Read the LiveLaw story here. 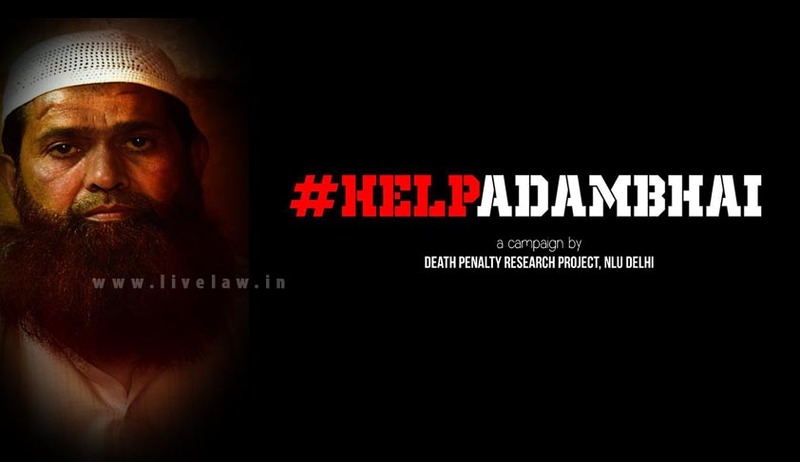 Adam bhai is now struggling to get back into his life and the Death Penalty Research Project has come to its rescue. He now lives with his family of seven, consisting of his wife and six children in Ahmedabad, struggling to make ends meet. He was an auto driver before he got arrested. He is presently unemployed; his family subsists on a meager Rs. 5000 per month earned by his elder son Muhammad Almas, who runs a sewing unit. He plans to rent a small area of land on the outskirts of Ahmedabad to rear goats and cows to sell milk and milk products. According to his estimates, he was to require an initial capital to the tune of Rs 7, 00,000.